Dame Helen Mirren attends the European Premiere of 'Red 2' at Empire Leicester Square in London. Helen complemented her ruby red gown and jewels with a pink-red lip. 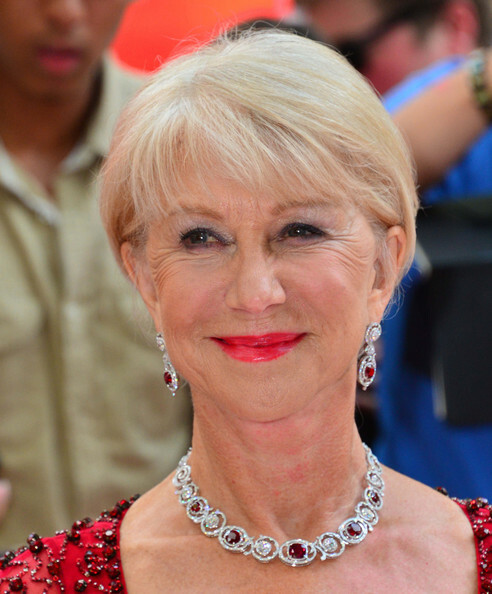 Helen Mirren attended the London premiere of 'Red 2' wearing her hair in a short cut with with wispy bangs.